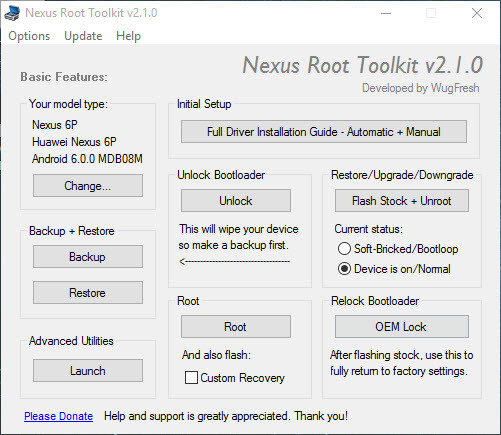 Download the Nexus Root Toolkit (latest version) and install it on your computer. 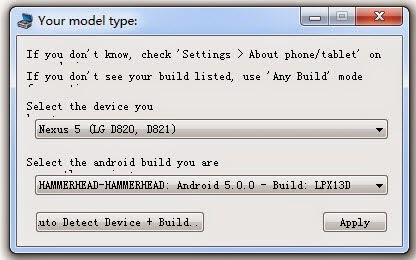 After installing the device, a pop-up will come out, asking you to select your Nexus model in the first drop-down list. In the next drop-down list, select the android build you are currently running. If you're not sure about the android build for your device, you can go to Android official site to figure it out. 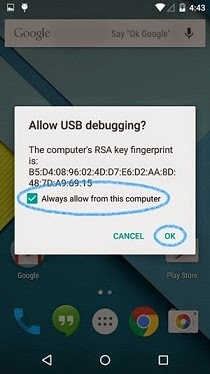 Enable USB debugging on your Android 5.0 or latest device. 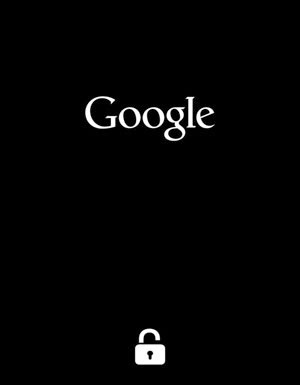 Tap Settings > About Phone (About Tablet) > Build Number 7 times in succession on your Nexus device. Next, go back to the Settings > Developer options. Tap Developer options to enter the USB debugging window. From there, check the box 'USB debugging'. When the message pops up, asking you whether allow USB debugging, click 'OK'. Connect your Android Lollipop with your computer with USB Cable. After then, on your device, there is a message asking you whether allow USB debugging or not. Confirm the action by checking the box 'Always allow from this computer' and click 'OK'. After this, it means that your device has been successfully connected with your computer. Launch Nexus Root Toolkit > keep your Nexus device connected to your computer via the USB cable > Click 'Backup' > click 'Create Nandroid Backup w/Custom Recovery'. Next, back to the main window > click the 'Unlock' button in the main windows of Nexus Root Toolkit to unclok the bootloader. Root Android 5.0 Lollipop. 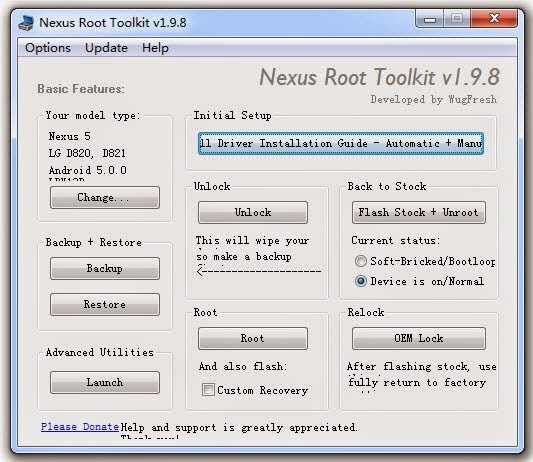 On Nexus Root Toolkit, click 'Root' at the bottom of the main window and wait for the program to proceed. If there is pop-up, offers to download files, just confirm it by clicking 'Download +Update All File Dependencies'. Next, it will tell you the 'Rooting instructions'. 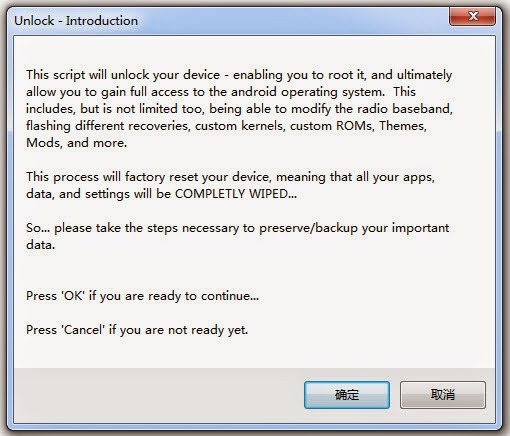 You must read it carefully because you need to follow it to root Android on your device. Just do as what it tells you to do on your Android Lollipop device. Below are the detailed steps. On Nexus Root Toolkit, click 'OK' to wait for the good news 'Automated Rooting Procedure Complete!'. When you see the news, it means you've successfully rooted Android 5.0 on your device. Now you can disconnect your device from your computer. "More details, look at the two existing video below." 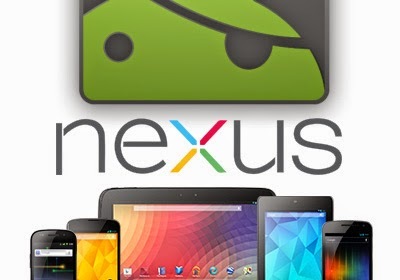 1 Response to "How To Root Android Nexus Device Using (Nexus Root Toolkit)"
nexus root toolkit is a best tool to manage nexus phones, by the way thanks for sharing.